It is better to light just one little candle than to stumble in the dark! Better far that you light just one little candle…all you need is a tiny spark…these words from the prayer we sang at Notre Dame Academy got ingrained in my consciousness and to this day, I wish I could light someone’s life in whatever little manner I could. It is for this reason that I love the festival of lights, Diwali. As a child, I remember how just days before Diwali, we went around our society collecting bricks, which we used to build small gharkulias or tiny homes made of bricks and clay that we painted with bright colours and finished them off by placing pots of sugar candy and puffed rice inside them as part of the tradition. I am talking of the days when I lived in a place called Ranchi now in Jharkhand, in India. I am not too sure if such a tradition was practiced in other parts of India too. We would begin our Diwali puja from this tiny home and believe me the pleasure of seeing it in its full glory with rangoli, lights, decorations, et al. on the D-Day gave us a sense of pride and happiness. DEEPAWALI AUGURS A CELEBRATION OF THE USHERING IN OF GOOD TIMES WHILE BIDDING ADIEU TO THE DARK TIMES. LET’S GET TOGETHER TO LIGHT OUR SHARE OF THE LAMPS AND MAKE THIS WORLD A FAR MORE BEAUTIFUL PLACE. Diwali as it is popularly called is a festival of lights and across India people celebrate it via symbolic diyas and kandils or colourful paper lanterns. One of the noted festivals of India besides Holi and Dussehra, Deepawali as it was referred to in the days of the yore is a celebration of prosperity and happiness, of the ushering in of brighter days. Legend has it that when Lord Rama along with wife Sita and brother Lakshmana returned to Ayodhya after serving 14 years in exile, ordered by King Dashratha at the behest of his wife Kaikeyi, the entire city of Ayodhya was bedecked with diyas and flowers to celebrate the return of their prince. Another significant event associated with Diwali is the return of Pandavas after 12 years of Vanvas and one year of agyatavas meaning living incognito. Diwali celebrations are spread over five days, from Dhanteras to Bhaiduj. In some places like Maharashtra it starts with Vasu Bara, the day when the cow and calf are worshipped. Dhanteras falls on the 13th day of the second half of the lunar month and is considered an auspicious day for buying utensils and gold, hence the name Dhana. The following days comes Naraka Chaturdashi, the day on which the demon Narakasura was killed by Krishna – an incarnation of Vishnu. It signifies the victory of good over evil and light over darkness. In southern India, this is the actual day of festivities. Hindus wake up before dawn, have a fragrant oil bath and dress in new clothes. 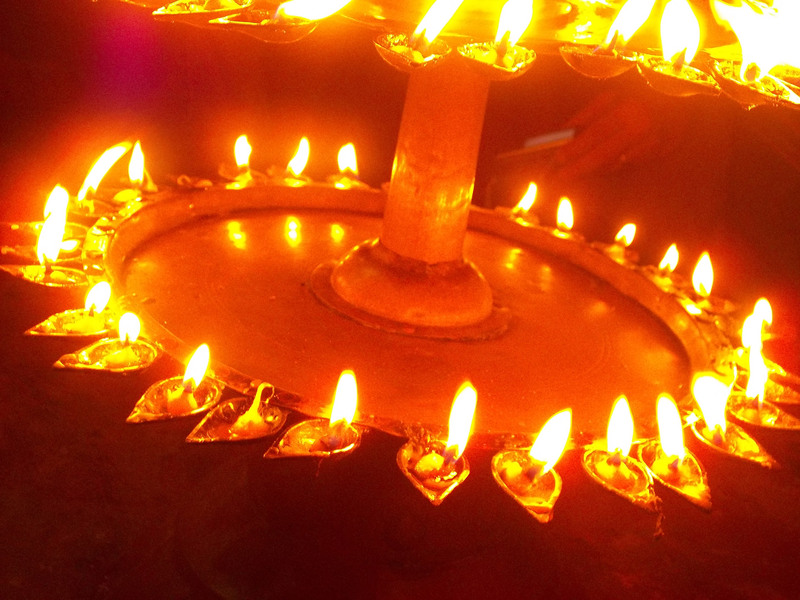 They light lamps all around the house and draw elaborate kolams /rangolis outside their homes. They perform a special puja with offerings to Krishna or Vishnu, as he liberated the world from the demon Narakasura on this day. It is believed that taking a bath before sunrise, when the stars are still visible in the sky is equivalent to taking a bath in the holy Ganges. After the puja, children burst firecrackers and herald the defeat of the demon. The entire day is filled with rejoicing, feasting, meeting family and friends. The third day is Lakshmi Puja, which marks the most important day of Diwali celebrations in North India. Hindu homes worship Lakshmi, the goddess of wealth, and Ganesha, the God of auspicious beginnings, and then light little clay pots at homes, to welcome prosperity and well-being.People have been cleaning homes, white washing them, making colourful rangolis, decorating homes with lights of all colours, installing new idols of Lakshmi and Ganesha in place of the old ones and praying to the idols by reciting aarti . People have been cleaning homes, white washing them, making colourful rangolis, decorating homes with lights of all colours, installing new idols of Lakshmi and Ganesha in place of the old ones and praying to the idols by reciting aarti . Following Lakshmi Puja is Govardhan Puja, also called Annakoot, and is celebrated as the day Krishna – an incarnation of god Vishnu – defeated Indra and by the lifting of Govardhana hill to save his kinsmen and cattle from rain and floods. For Annakoot, large quantities of food are decorated symbolising the Govardhan hill lifted by Krishna. In Maharashtra, Tamil Nadu and Karnataka, it is celebrated as Bali-Pratipada or Bali Padyami. The day commemorates the victory of Vishnu in his dwarf form Vamana over the demon-king Bali, who was pushed into the patala. In Maharashtra, it is called Padava or Nava Diwas or new day. Men present gifts to their wives on this day. Following Govardhan Puja is Bhaiduj, the day on which brothers and sisters meet to express love for each other. It is based on a story when Yama, lord of Death, visited his sister Yami, the river Yamuna. Yami welcomed Yama with an aarti and they had a feast together. Yama gave a gift to Yami while leaving as a token of his appreciation. So, the day is also called Yama Dwitiya. Diwali is important for the Jains given that it is the day of remembering Lord Mahavira. The Marwari New Year falls on this day, even as the Gujarati New Year falls a day after marking the beginning of a new fiscal year. The festival also marks the end of the harvest season in most of India. Farmers thank God for the bounty of the year gone by, and pray for a good harvest for the next year. Traditionally, this marked the closing of accounts for businesses dependent on the agrarian cycle. Lakshmi symbolises wealth and prosperity, and her blessings are invoked for a good year ahead. There are two legends that are associated with the worship of Goddess Lakshmi on this day. According to the first legend, on this day, Lakshmi emerged from Kshira Sagar, the ‘Ocean of Milk’, during the great churning of the oceans – samudra manthan. The second legend which is more popular in western India relates to the Vamana avatar of Vishnu, the incarnation he assumed to kill king Bali. On this day, Vishnu came back to his abode the Vaikuntha; so those who worship Goddess Lakshmi receive the benefit of her benevolent mood and are blessed with well-being. The festival of lights has spiritual connotations too meaning ‘the awareness of the inner light’. Central to Hindu mythology is the belief that there is something beyond the physical body and mind which is pure, infinite, and eternal, called the Atman. The celebration of Diwali as the ‘victory of good over evil’, refers to the light of higher knowledge dispelling all ignorance. With this awakening comes compassion and the awareness of the oneness of all things – higher knowledge. 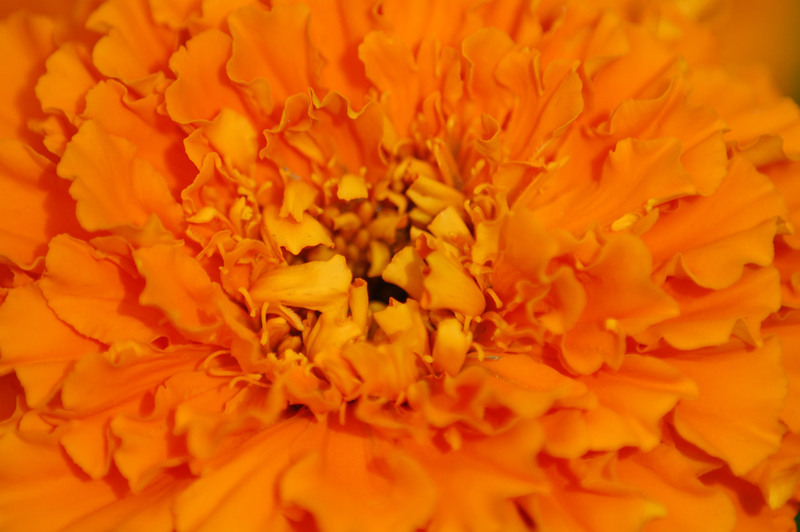 This brings anand, meaning joy or peace. Just as we celebrate the birth of our physical being, Diwali is the celebration of this ‘Inner Light’. Centuries have passed since the birth of the celebrations around Diwali. People have been cleaning homes, white washing them, making colourful rangolis, decorating homes with lights of all colours, installing new idols of Lakshmi and Ganesha in place of the old ones and praying to the idols by reciting aarti . However, in today’s times Diwali is much more than lighting of diyas, decorating doorways with marigold flowers, terracotta or brass idols, wall hangings and decorative lights. It augurs of the times when corporates focus on strengthening interpersonal relationships with not only their employees but also clients. It’s time to gift, exchange greetings and pleasantries, announce bonus for employee performance. Business houses exchange sweets, dry fruits and other gift items as part of the greetings. People prefer to make bigger purchases at this time of the year because it is considered to be an auspicious time. In the urban domain, societies host Diwali melas, where residents exchange greetings, enjoy cultural programmes, play games, relish delicacies ending with a round of fire crackers. Diwali is not a festival restricted to Indian shores. It is celebrated across the world, particularly those with large populations of Hindu and Sikh origin. These include countries like Sri Lanka, Myanmar, Thailand, Malaysia, Singapore, Indonesia, Australia, New Zealand, Fiji, Mauritius, Kenya, Tanzania, South Africa, Guyana, Surinam, Trinidad and Tobago, the Netherlands, Canada, the UK, and the USA. With more and more Indians now migrating to various parts of the world, the number of countries where the festival is celebrated has been gradually increasing. While in some countries it is celebrated mainly by Indian expatriates, in others it has become part of the general local culture. While the story behind Diwali and the manner of celebration varies from region to region in terms of festive fireworks, worship, lights, sharing of sweets, the essence is the same – to rejoice in the ‘Inner Light’ – Atman or the underlying ‘Reality of all things’ -Brahman.